Memo boxes are constructed of solid cardboard covered with leatherette. Available in assorted colors. Imprint on the header. Holds 4″ x 6″ memo paper, 100 sheets. Refills available. Memo Pads are constructed of solid cardboard backing with leatherette header available in assorted colors. Imprint on the header. 100 sheets per pad on heavyweight paper. 8-1/2″ x 11″ Wire Stitched Memo Book with high impact heavy paper. Imprint your logo in full color on the front and back cover. 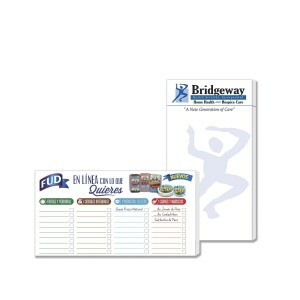 The 40 sheets per book are available lined, graphed, blank or custom. They can be bound on the side or on the top. 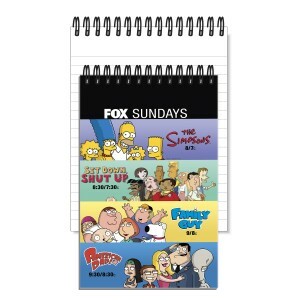 5-1/2″ x 8-1/2″ Wire Stitched Memo Book with high impact heavy paper. Imprint your logo in full color on the front and back cover. The 40 sheets per book are available lined, graphed, blank or custom. They can be bound on the side or on the top. 4″ x 7″ Wire Stitched Memo Book with high impact heavy paper. Imprint your logo in full color on the front and back cover. The 40 sheets per book are available lined, graphed, blank or custom. They can be bound on the side or on the top. 2-7/8″ x 4-1/2″ Wire Stitched Memo Book with high impact heavy paper. Imprint your logo in full color on the front and back cover. The 40 sheets per book are available lined, graphed, blank or custom. They can be bound on the side or on the top.